The Liberal Democrats have dismissed claims Sir Vince Cable is supporting the creation of a new political party by an ex-aide to David Davis. James Chapman, former chief of staff at the Brexit department, said the leader would join him in Parliament Square to launch the Democrats and insisted the pair “really will take back control”. But the Lib Dems said there was “no question whatsoever” of Sir Vince backing the move and dismissed the new party as “completely unnecessary”. The leader is considering attending the People’s March for Europe on September 9 in London where Mr Chapman will formally launch his political group, they said. 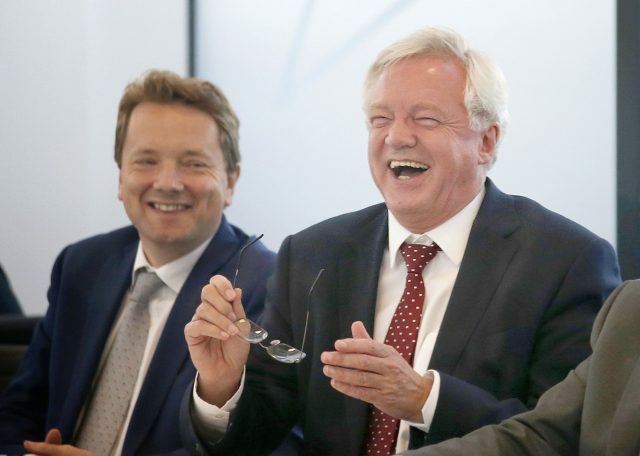 A former Daily Mail political editor who also worked for George Osborne when he was chancellor, Mr Chapman has become a ferocious critic of Brexit and made outspoken attacks on some of his former colleagues, including Mr Davis. He tweeted: “BREAKING @vincecable will join me in Parliament Square on 9.9.17 to launch #thedemocrats #nazisout #wemarchon. BREAKING @vincecable will join me in Parliament Square on 9.9.17 to launch #thedemocrats #nazisout #wemarchon ????????❤️???????? A Lib Dem spokesman said: “There is no question whatsoever of Vince Cable supporting the launch of a new party, as James Chapman is suggesting. “A new party is completely unnecessary as the Liberal Democrats already represent an anti-Brexit alternative in the centre ground of British politics.